Our Program | Valley-Lake Boys Home, Inc. The Valley-Lake Boy’s Home, Inc. is a private non-profit residential treatment facility for boys with severe behavior problems. It is licensed through the Minnesota Department of Corrections for up to fourteen boys between the ages of 12 and 18. 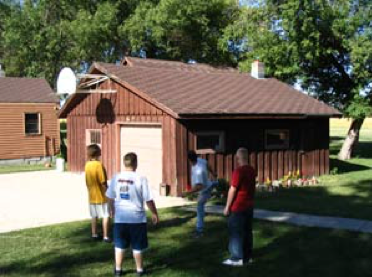 The goal of the Valley-Lake Boy’s Home, Inc. is to provide a safe and secure environment in which a youth can work through the conflicts connected to his inappropriate and negative behaviors. The program is designed to facilitate attitudinal and behavioral changes that will allow these adolescents to function in their own community. Click on the (+) at the right of each point to expand for more information. Documents available for download are located at the bottom of the page.